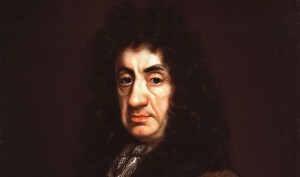 King Charles II of England dissolves the Cavalier Parliament. January 24, 1679. Although previously favourable to the Crown, the Cavalier Parliament was alienated by the king’s wars and religious policies during the 1670s. In 1672, Charles II issued the Royal Declaration of Indulgence, in which he purported to suspend all penal laws against Catholics and other religious dissenters. In the same year, he openly supported Catholic France and started the Third Anglo-Dutch War. The Cavalier Parliament opposed the Declaration of Indulgence by claiming that the king had no right to arbitrarily suspend laws passed by Parliament. Charles withdrew the Declaration, and also agreed to the Test Act, which forced the public officials to receive sacrament under the forms of the Church of England as well as denounce teachings of the Catholic Church as “superstitious and idolatrous”. Clifford, who had converted to Catholicism, resigned rather than take the oath, and committed suicide shortly after, and Lord Danby was his replacement as Lord High Treasurer. 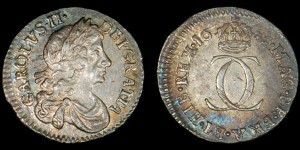 By 1674 England had gained nothing from the Anglo-Dutch War, and the Cavalier Parliament refused to provide further funds, forcing Charles to make peace. Although much of the nation had sought war with Catholic France, Charles had secretly negotiated with Louis XIV, trying to reach an agreement under which England would remain neutral in return for money. Danby had publicly professed that he was hostile to France, but had reservedly agreed to abide by Charles’s wishes. Unfortunately for him, the House of Commons failed to view him as a reluctant participant in the scandal, instead believing that he was the author of the policy. To save Danby from the impeachment trial, Charles dissolved the Cavalier Parliament in January 1679.